Tax Debt of $200k Settled for $1000! Mr. W is a self-employed individual and the main provider for his family. As a member of the construction industry, his income fluctuates with the housing market which was in a downturn for an extended period of time. As a result, he had difficulty generating enough income to meet his minimum monthly expenses and was hit with one late payment notice after another. With all of his attention focused on keeping his family afloat, Mr. W did not file his tax returns for a number of years, thus acquiring a tax debt of over 200K. With a new edition to his family on the way and the IRS breathing down his neck, he was at loss as to what to do. Faced with what he perceived as a desperate situation, Mr. W reached out to Professional Tax Resolution for help. During his initial phone consultation, our tax professionals were able to gather enough financial information to relieve some of his anxiety by explaining the available tax resolution options. Pleased with what he learned from this conversation, Mr. W scheduled a face to face appointment with a member of our tax resolution team. At this time, we were able to give him a full breakdown on how to resolve his back tax issues. 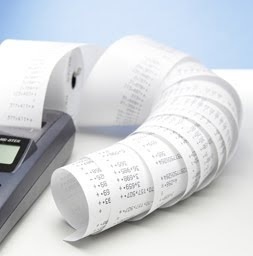 The IRS was taxing Mr. W based on his self-employment income without taking into account his business expenses. This naturally resulted in an extremely exaggerated tax liability. Although his business was putting out some very high income numbers, his personal net income was low due to high business expenses. This low income was the primary reason for his tight financial situation and the resulting debt accumulation. 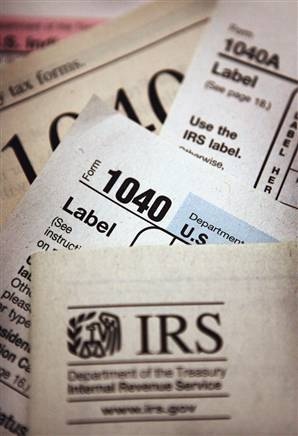 Our tax professionals began the process of resolving Mr. W’s tax debt situation by filing all unfiled tax returns. Although this produced a much more accurate picture of his outstanding tax liability, it showed that he still owed the IRS more than 90K. Since this was an amount that far surpassed his ability to pay given his current income stream, we recommended that he follow up with an IRS Offer in Compromise. Professional Tax Resolution gathered all of the information necessary to document his specific financial situation and to explain why he would be unable to pay the full amount of his back tax balance. After multiple communications and submitted documents, the IRS agreed to a negotiated Offer in Compromise amount of a mere $1,000! Mr. W’s case was a financial worst case scenario. He had numerous unfiled tax returns as well late payments on previously filed returns. In addition, he lacked the money to pay the required amount once an accurate back tax balance had been obtained. Luckily, Professional Tax Resolution represented him throughout the entire ordeal. Not only did we reduce the amount he owed the IRS to less than 1% of the original back tax balance but we saved him time, allowing him to devote more energy to the business that would continue to earn him even more money! While not every case goes as smoothly as Mr. W’s, our professionals pledge to always go the extra mile for our clients and follow each case though until we achieve the best possible resolution.